Lens Description: Truly wide and truly fast, the Nikon F mount 20mm f/1.4 DG HSM Lens is a member of the venerable Art series of Global Vision lenses from Sigma and pairs a sophisticated optical design with a robust physical construction. Comprised of 15 elements in 11 groups, the lens design includes two "F" Low Dispersion (FLD) elements, five Special Low Dispersion (SLD) elements, and two aspherical elements to significantly reduce chromatic and spherical aberrations, as well as limit distortion for clean, sharp, and evenly illuminated imagery. A Super Multi-Layer Coating has also been applied to minimize surface reflections, flare, and ghosting for increased contrast and color accuracy. 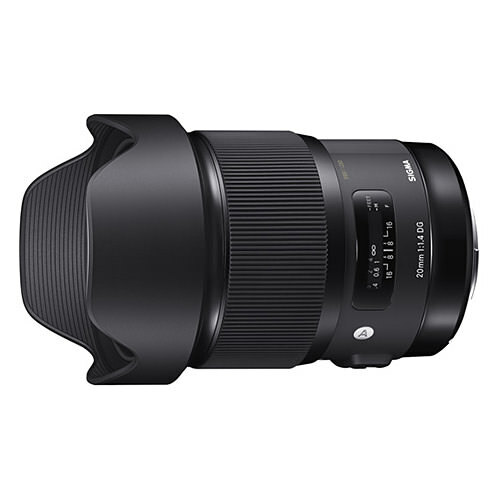 The wide focal length and consistent image quality make this lens especially suitable for landscape, interior, architectural, and astrophotography applications, while the fast f/1.4 maximum aperture deems it ideal for natural and low-light shooting. This is a great lens! I have a zoom lens Sigma 12-24 DG 4,5:5,6mm, but ART 20 mm 1.4 is better.